Posted December 23rd, 2014 by TheGolfersClub & filed under Competitions, Reviews. Mizuno has announced a raft of new technical breakthroughs in what they a calling ‘a year of innovation’ with the new JPX850 line. The line boasts a number of technical and manufacturing breakthroughs for the Japanese manufacturer – aimed at increasing ball speed and distance. 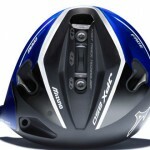 There is a re-introduction of Mizuno’s Fast Track sliding weight system in the JPX850 driver. The new Fast Track sliding system works back from the face – allowing golfers to dramatically change their spin rates. The Shockwave sole is a new take on increasing ball speed from the face of the smaller headed hybrids and fairway woods. “It’s rare to have so many breakthrough technologies at one time,” said Tetsuya Kanayama, Senior R&D Manager. Mizuno has evolved the Fast Track sliding system to be able to customise spin rate and launch angle. The piercing blue JPX-850, first seen on tour in April 2014, uses twin 8-gram weights which can be located on either the central sliding rail, or two lateral slots. There are 10 unique settings for players to dial in their perfect launch and spin. 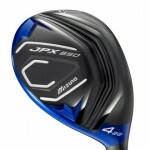 JPX850 also offers lofts from 7.5 to 11.5 within one head. “The genius of the new Fast Track is that it adds the dimension of launch angle and spin rate. Now we’re truly in control of maximising all aspects of their ball flight off the tee,” said Chuck Couch, VP Product Management. The primary characteristic of the JPX850’s Shock Wave sole is to enable the entire club head to contract and expand on impact – delivering an additional energy source to the clubface. The additional mass also lowers the head’s centre of gravity, maintaining high ball speeds directly off the turf. There is a 4 degree range of loft adjustment possible within each fairway head. The profile at address leans towards the neutral lines preferred by Mizuno’s professional players. “The Shock Wave sole is a hugely improved way to increase ball speed without the downside of moving the sweet spot too high up the face,” said David Llewellyn, R&D Manager. 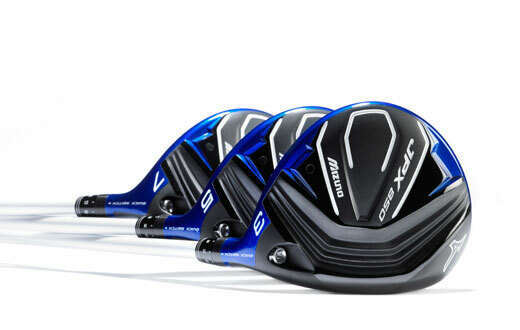 The Golfers Club is offering a lucky member the chance to win a Mizuno JPX850 Driver. To enter, simply answer the following question. Q: What system has been evolved by Mizuno to be able to customise spin rate and launch angle? To enter, email your answer to competitions@twww.golfcare.co.uk with your name, membership number and contact number. The prize draw will take place on the 2nd February 2015.